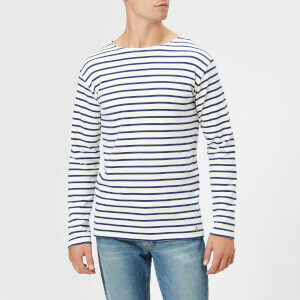 Grey striped long sleeve T-shirt from iconic American denim brand, Levi’s. 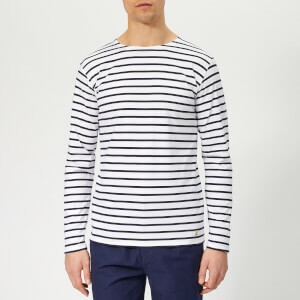 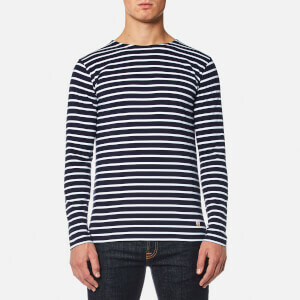 Crafted from soft cotton jersey, the long sleeve tee is detailed with contrasting navy stripes to on the body and sleeves. 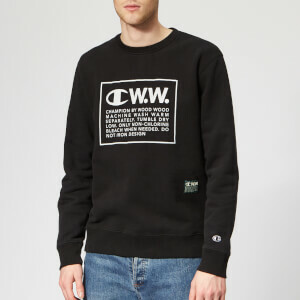 Complete with the iconic red Levi’s logo tab on the left side seam, long sleeves and a ribbed crew neck.